Tap Titans 2 v1.7.0 Mod apk + Data for Android. 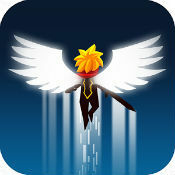 – Heavenly Strike now has a higher maximum splash cap and can splash through bosses with the Magic Fusion enhancement. – The buy max option in the hero purchase panel now buys through evolve costs. – Silent March now works in tournaments, up to the maximum submitted stage within each tournament. – Daily Rewards restart at week two after completing the full second week of login rewards. – Auto kick/demote/promote added to clans with improved visual feedback on status messages. It’s on 2.2 now. Any updates coming? It’s stuck in the loading screen. But first of all, I need to install just the apk, or the OBB as well? Does Unlimited Mana or the free Purchases work for anyone? I can’t buy any of the premium items. In 1.6.3 I could at least buy double damage and might of swipe. There is not even the information window of iHackedit when I start the game. Were the tournaments turned off? Uninstall the game and install it again. It shows 93.26 MB, what are you talking about. Please update new version. Just released today.